Online ordering menu for Gianni's Pizza Family Restaurant. Welcome to Gianni's Pizza Family Restaurant in Nashua, NH. 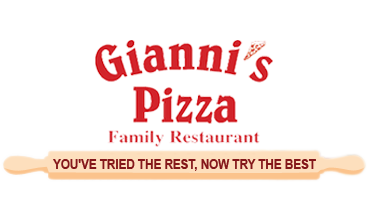 Bring the entire family into Gianni's Pizza Family Restaurant for a treat they will all enjoy! We offer Soups & Salads, Pizza, Grinders, Chicken, Steaks, Spaghetti and Desserts. More choices on our online menu, Order Online Now for Delivery and Carry out! We are located on Charron Avenue and Amherst St, near I-3. Few minutes driving from Daniel Webster College or Mine Falls Park.